For any questions, comments or bookings, complete the form below with your details. It will be a pleasure to get back to you. Highway 40 East towards Quebec, exit 122 northbound for Joliette, continue on Route 131 north of Joliette to Ste-Émélie-de-l’Énergie, take Route 347 North to St-Côme. Highway 440 East, continue on Route 25 North and then Route 125 North to Rawdon. When you get to Rawdon, turn left at the second light and right at the next one. 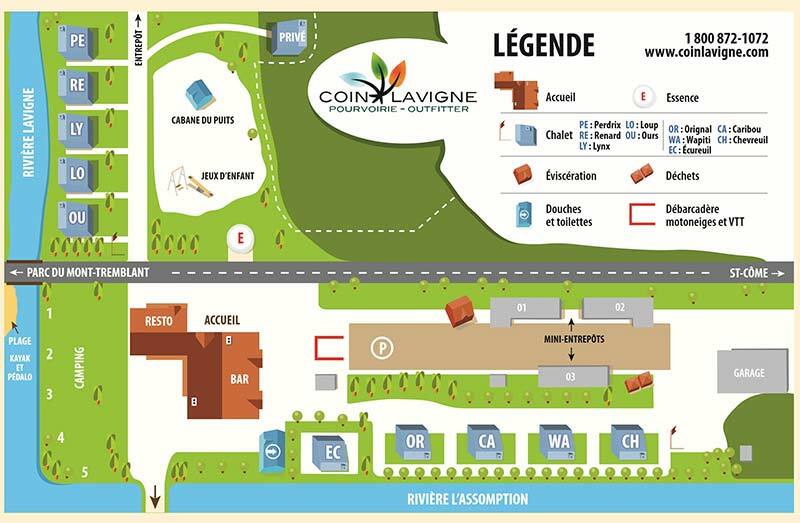 At the 337 North (next intersection) turn left onto 343 North towards Saint-Alphonse and follow the path to St-Côme. Highway 40 West towards Montreal, exit 174 towards 138 West. At Louiseville, take the Route 348 West towards St-Gabriel de Brandon. Then take Route 347 North. You will pass by St-Damien and Ste-Émelie-de-l’Énergie. At the stop sign of this last village, you continue straight toward St-Côme on the 347 North. At the next junction turn right onto 343 North towards St-Côme. 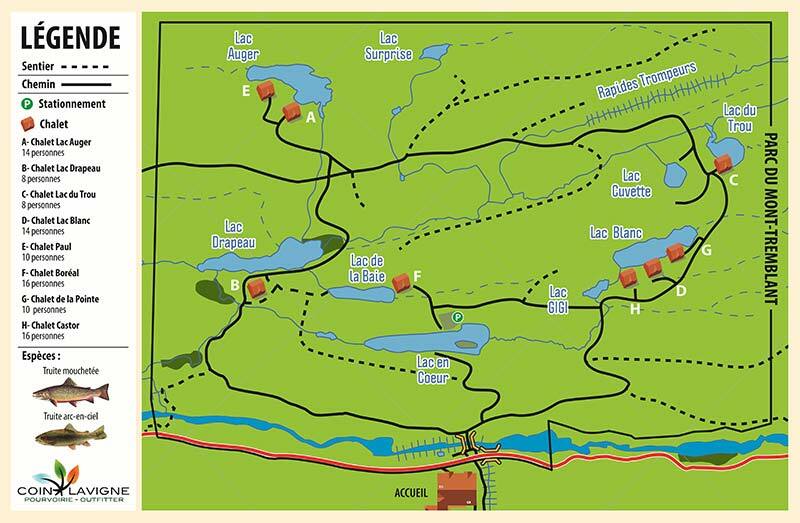 Three kilometers past the village of St-Côme, you will encounter the Camping Sommun on your right. 700 feet further, you’ll find the Farm Road (chemin de la Ferme) on your right then drive 15 km on this road (paved road) until you reach the outfitter.